I'm participating in the World Read Aloud Day Blogging Challenge. 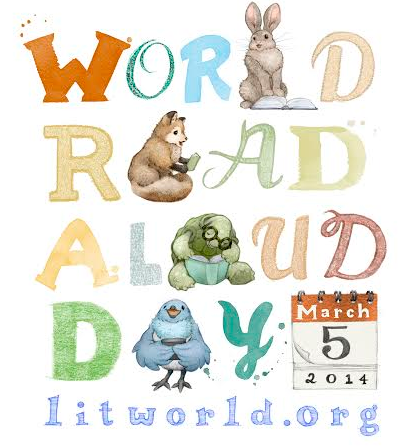 If you're not familiar with World Read Aloud Day, please visit LitWorld's website here and register to participate in your classroom and school. What is your earliest or fondest memory in which someone read aloud to you? I had a very blessed childhood in that both my mom and dad were avid readers and raised me to be one as well. I remember weekly trips to the library with my mom, bringing home stacks of books to read and share together. My fondest memory is of my daddy reading to me nightly before bedtime. I'm sure he and my mom read picture books to me when I was younger, but the books that are ingrained in my memory are the "classics". My daddy read his childhood favorites to me before I was old enough to read them and continued reading to me even after I was able to read. My dad had the extra special ability of making a book come to life as he read in various tones and voices depending on the characters and situations. His love of the story came through every word he read to me. So what "classics" did my daddy read to me? Today I still have several of the books he read to me. They are treasured because of the priceless memories tied to them. Now as a parent, I love reading books to my own children and hope that I'm making those same types of memories with them that will last a lifetime. In a few weeks, we'll be celebrating World Read Aloud Day at my school for the second year. Because of our unique setup with K-12 in the same building, I like to match up classrooms of varying ages to partner read with each other as well as have teachers visit/read with a grade level they don't usually have an opportunity to spend time teaching. Our high school athletes, administrators, and special guests will visit classes and read to them. Teachers of every grade level are encouraged to read aloud to all of their classes. 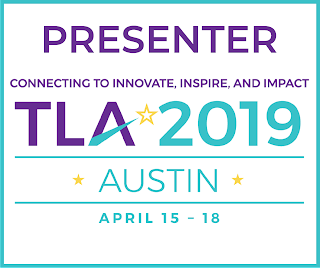 We will also be connecting with friends/classrooms/librarians across the nation during the week via google hangouts and/or Skype in my library. I love this time of connecting and sharing books with students of all ages, showing them how easy it is to read together, and how special the memories are that we make together!